Stormtroopers are elite soldiers affiliated with the Galactic Empire. They first appeared in the film Star Wars: Episode IV - A New Hope in 1977. They can be seen in Episodes IV, V and VI. 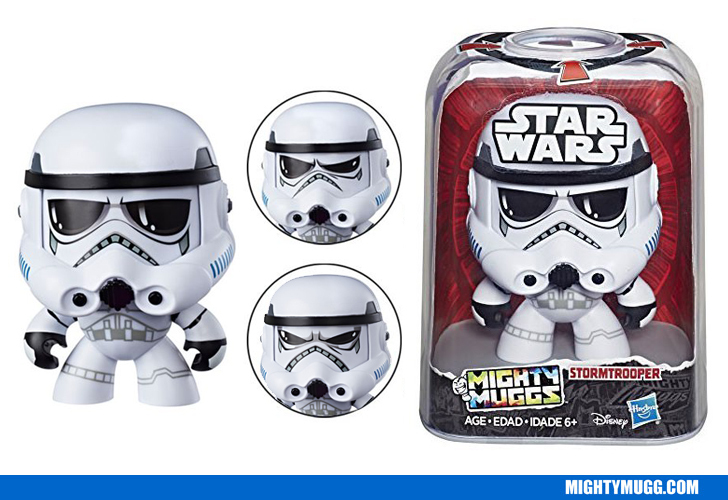 The Mighty Mugg above portrays a trooper in the well known armor which was apparently useless against a shot from a blaster in the movies. Why have any armor at all?